If you are looking to alter your home for more functional living space via a room addition, it is crucial to plan carefully to ensure the project’s process and success. One of the most important decisions involves choosing the contractor you want to work with on your room addition project. In fact, at Republic West Remodeling, we believe that finding the right room addition contractor for your room addition is the most important aspect of the journey. Why? For starters, your overall experience is a direct result of the company offering the services. It is also about how they treat you, the kind of products they use, and the experience of the team providing the work. 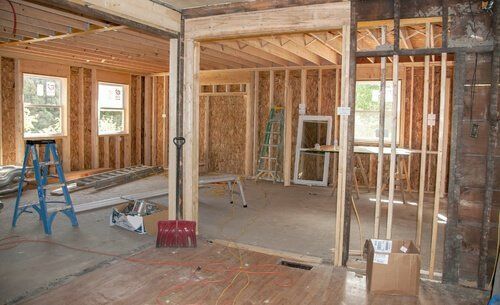 Most importantly, a qualified contractor should be able to skillfully and efficiently manage your room addition project. What does this mean? It means eliminating the step of having homeowners deal with individual contractors who may not show up. It also means leaving it to the pros to ensure your addition is done the right way and on time. Room additions allow you to reconfigure your existing property while staying in the location you love. Adding onto your home also expands your available living space makes your home more efficient and comfortable for your family. At Republic West Remodeling, we’re proud of the more than 17,000 home remodeling, and room addition projects we have completed since 1995, including kitchen additions, bathroom additions, family rooms, whole house remodels, outdoor living spaces, and much more. As a local Phoenix and Scottsdale, licensed and insured remodeling company, we manage room additions from the design and planning stages through final inspection. Our belief is that ethical standards, honest communication, and quality work are what the customer yearns for and we have a proven history of providing all of these.